Expert opinion about foreseeability and punitive damages are issues that commonly raised in dog bite lawsuits. In a California, dog bite lawsuit, the state with the highest payout for liability claims from insurance carriers for dog bite injury, recovery for punitive damages may become part of a lawsuit if the plaintiff sustained serious injury. In a strict liability state like California, and even in other states like Nevada where common law applies, the plaintiff may make a claim for punitive damages if there is sufficient reason to believe that the dog was poorly managed and the owner/property owner had actual knowledge about the dangerous nature of the dog. 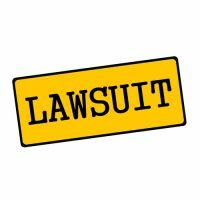 In the California dog bite lawsuit described below, which involved a reproductively intact, untrained and poorly socialized pit bull, I was called to proffer an expert opinion about whether the owner should have known or must have known that her dog would engage in the kind of behavior that led to the attack on the plaintiff. I bring this case to the attention to my audience because discovery conclusively indicated that the plaintiff knew her pit bull presented a danger to people who came onto her property and that she was negligent in the manner in which he handled the dog. A case 40-year-old termite exterminator was on the defendant’s property for regularly schedule maintenance duties. He had serviced the property previously on numerous occasions, and he was aware that the defendant’s pit bull, named Bruno, lived in the backyard. Before the date of the incident in question, he had expressed his concerns about the dog to the defendant. Arrangements made were made that the pit bull would be taken into the house whenever he came to service the property. There was a dispute about whether the owner knew the exterminator was on her property. Nonetheless, it was agreed that he was on the defendant’s property with the permission. The incident occurred on the side of the house near the double gate that led to the backyard. The plaintiff was spraying his chemicals and had just turned the corner when he immediately noticed pit bull charging from a short distance away. The plaintiff testified he had no time to react to evade the dog. Later investigation showed that Bruno escaped from the backyard gate which, as noted below, was in a state of disrepair. The pit bull grabbed the plaintiff’s right arm and locked onto it for about a minute. He sustained severe dog bite injury. Fortunately, throughout the attack, the plaintiff held onto his spray gun and used it to spray the dog in the face. The dog released and this gave the plaintiff enough time to jump on the wall that surrounded the backyard. The pit bull recovered and shortly after that started jumping, growling and barking at the plaintiff who remained fixed on top of the wall. He remained on top of the wall out of reach of the dog and called 911. Police arrived shortly after that. According to the police when they arrived the pit bull charged them, and they, in turn, shot the dog in the head with four bullets. The dog died shortly after that. (As an aside, the police version that the dog charged them is not believable. If the dog charged then how did Bruno wind up with four bullets in his head? Rather, I believe the Bruno was intentionally shot at close range for reasons other than his aggressive actions towards the police). Was there enough evidence to suggest that owner knew or should have known that her dog was dangerous and would engage in the act which caused injury to the plaintiff? The evidence against the defendant was overwhelming. First, the defendant acknowledged that her dog was territorially protective and Bruno was kept during most of his waking hours in the backyard (hence, a procedure likely to enhance territorial protectiveness). The defendant’s home was in a rural, agriculture section of central California and she acknowledged that having a dog like this gave her security. Moreover, she chose not to neutered Bruno because she felt male intact dogs were more aggressive. Bruno also received very little training. And significantly, the plaintiff admitted that Bruno would probably attack a person if the person entered the backyard. Given this, one cannot escape the conclusion that the plaintiff knew that the presence of Bruno created a dangerous condition on her property. Moreover, it was clear that plaintiff acted recklessly concerning the manner in which he secured Bruno in the backyard. The double gate that allowed entrance to the backyard was not locked but instead was closed with a plastic zip tie. The gate could not be properly shut because it was crooked, and the plaintiff testified that she knew the gate in surrounding law was in disrepair and out of convenience she decided to keep the gate shut with the zip tie. What led to Bruno’s escape was that he likely heard the plaintiff spraying, knocked up against the gate and the zip tie broke which allowed him access to the nearby plaintiff. Next, the above evidence suggested that the plaintiff was acting in her own best interests and showed a callous disregard for public safety, particularly for the plaintiff, by maintaining Brutus on her property in a manner as she did. The gate should have been repaired, and then a padlock used to prevent it from opening. Moreover, the defendant knew that the plaintiff visited her property biweekly to spray her house and she knew that the plaintiff did not like Bruno and was scared of him. Rarely have I reviewed such compelling evidence indicating that a dog bite incident was foreseeable and that the owner acted in a despicable fashion to support a claim for punitive damages. The only discovery that countered this opinion was that Bruno had never previously bitten a person. The totality of the evidence indicated that Bruno presented a clear and present danger to public safety. The defendant should have known or must have known about Bruno’s dangerous nature. And she was clearly grossly negligent in the way she maintained Bruno. My impression was that the plaintiff’s attorney wanted to take the case to trial. The defense agreed to settle the case for an undisclosed amount shortly before trial, however.